This six-story warehouse was erected in two building campaigns. 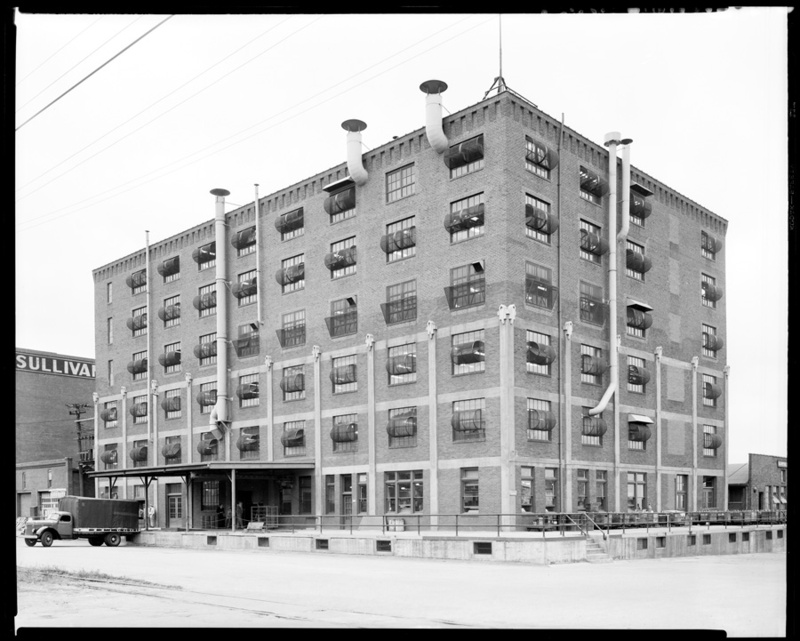 In 1920 the first three floors and the wide loading docks were completed at a cost of $120,000 for Lincoln Hide & Fur Company, a custom tanner and manufacturer of fine fur garments, coats, robes, rugs, caps, and mittens. The building was designed by Lincoln architect Jesse Boas Miller (see also #7) and built by Olson Construction Company. 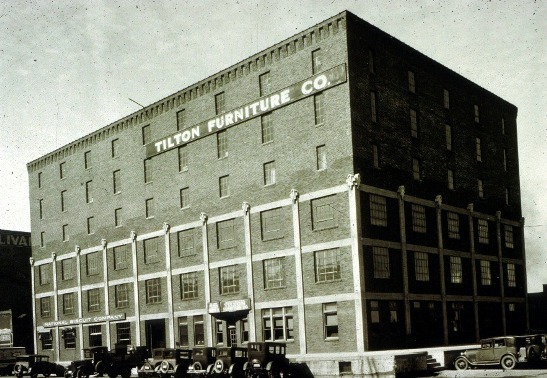 The Olson firm was founded in Lincoln in 1883 and constructed more than 300 buildings in the city including several major warehouse/industrial buildings in the Haymarket. 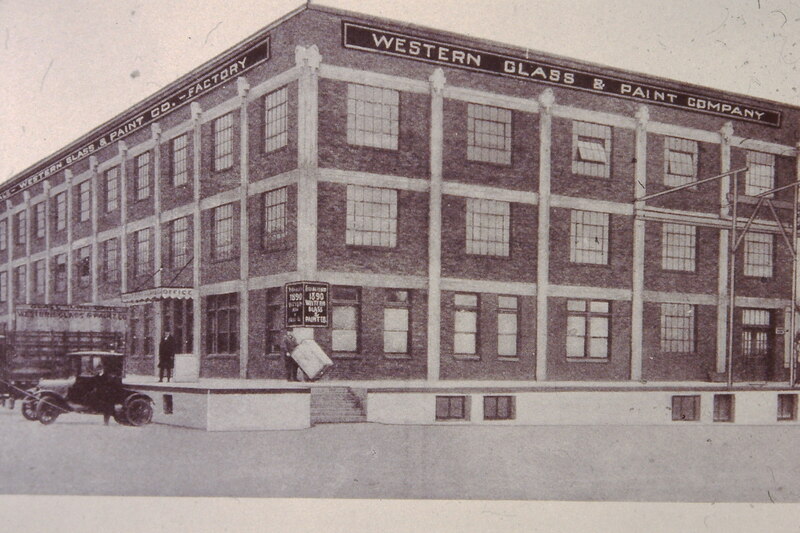 Lincoln Hide & Fur Company shared the building in the early '20s with the Western Glass & Paint Company, a jobbing house organized in 1890 by Thomas P. Kennard, one of the three members of the “Capital Commission” who founded Lincoln by selecting it as the site for Nebraska’s capital city. 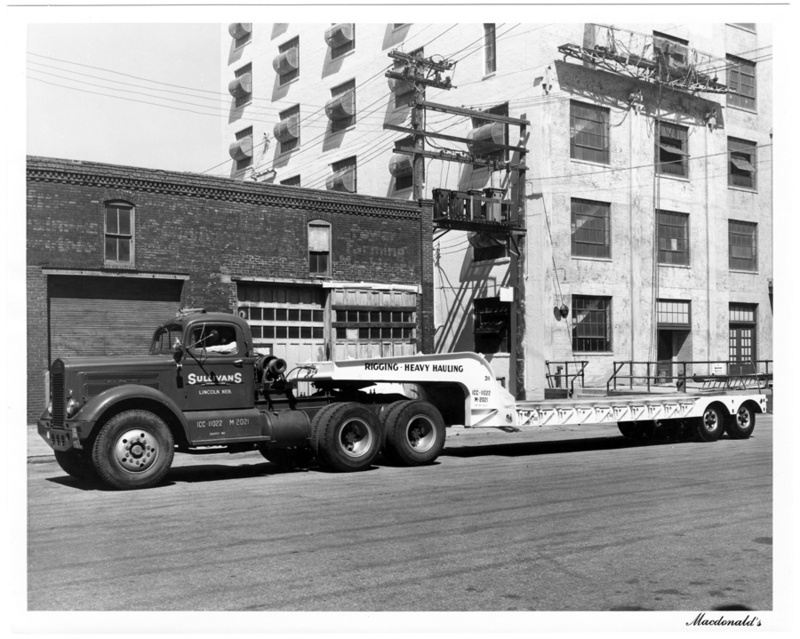 Kennard was an enthusiastic believer in Lincoln's future as a distribution center. 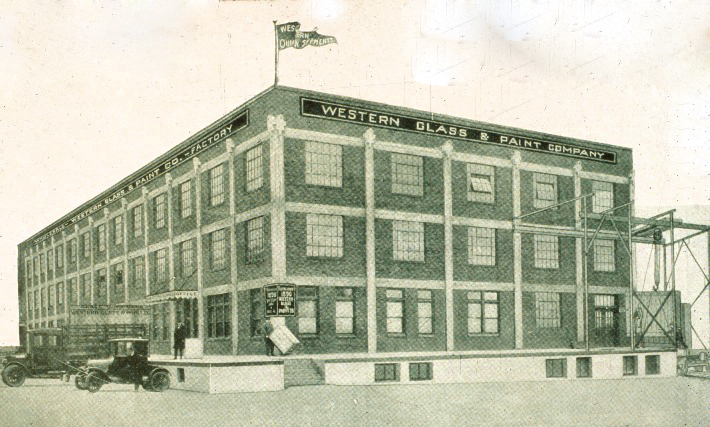 To make good on his convictions, he was active in several businesses including establishing the first glass and paint wholesaler in Lincoln, which claimed by 1924 to be the "largest exclusive glass and paint jobbing house west of Chicago." 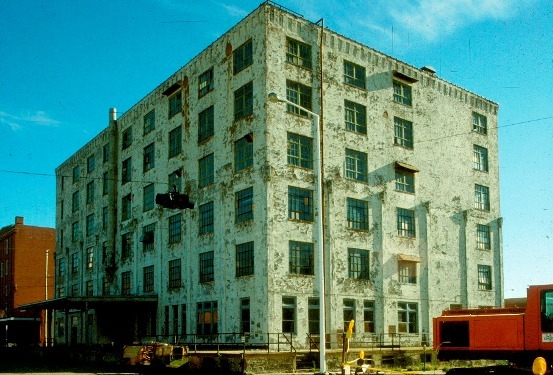 Miller's design for the original three-story warehouse employs an exposed, reinforced concrete structure, infilled with brick and large windows. The projecting vertical piers are topped with stylized "Moderne" capitals. 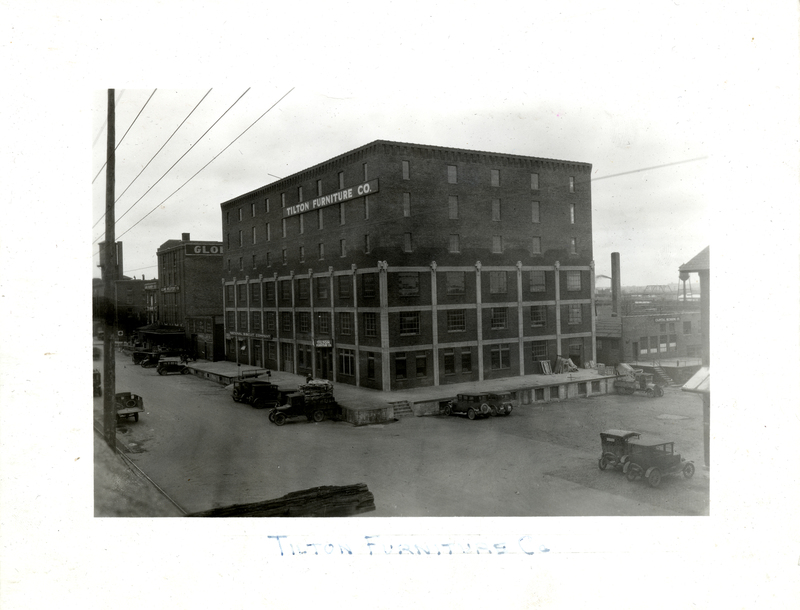 Hardy Furniture Company acquired the warehouse and added the three top floors in 1927. The addition by contractor W. J. Assenmacher was estimated to cost under $40,000—one-third the price of the lower floors. Several Haymarket warehouses were enlarged by adding stories in this manner, capitalizing on the rail sidings that already served most of the buildings. The architects of this addition were Davis & Wilson, a leading Lincoln firm which designed the elegant Stuart Building (at 13th and P Streets) that same year. The only ornament of the Hardy Building addition is a corbelled (stepped) brick cornice. Hardy Furniture used this warehouse until the 1940s. Today the building anchors the northern edge of the Haymarket Landmark District, providing sixty apartments—the district’s largest adaptive reuse of a warehouse for housing. 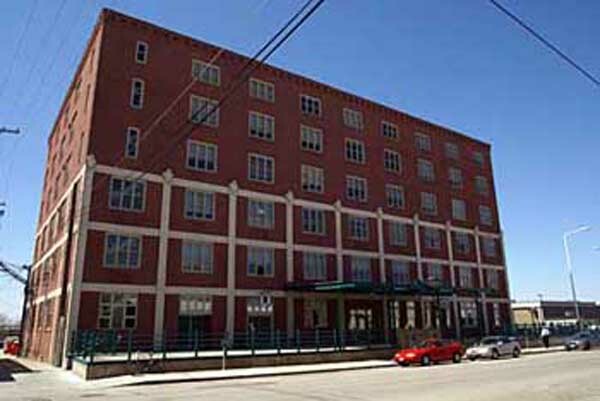 The pioneering project in 1987 was designed by Sinclair Hille Architects and developed by the non-profit Lincoln Haymarket Development Corp.
West of the Hardy Building, “The Option” condominiums provide fourteen well-situated townhouses, built in 2004 on the site of the 1923 Capitol Bedding Building. 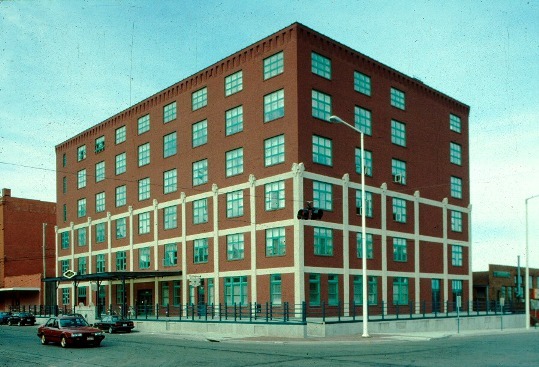 The R Street units face Lincoln’s downtown Post Office, built in 1969, and Pinnacle Bank Arena of 2013. The Post Office project included opening the block of North 7th Street between Q and R Streets, which previously extended only from P to Q Streets. West on R Street is Pinnacle Bank Arena, which was authorized by Lincoln’s voters in 2010 and opened in 2013. The ramp on the east side of the Arena’s entrance plaza connects both to the concourse level entrance at the northeast corner of the arena, and to a pedestrian bridge crossing the railroad tracks to a Festival parking lot, and the Haymarket Park baseball and softball stadiums. The bridge is decorated on each side and the top with the letters L-I-N-C-O-L-N, with quotes by notable Nebraskans corresponding to each letter. Northeast of the Post Office and Arena, an earlier pedestrian bridge springs from 8th Street north of S Street. Named for former Congressman Doug Bereuter, the span provides access across busy railroad tracks to the Haymarket Park baseball and softball complex. Bereuter took a strong interest in the Haymarket’s redevelopment and lent crucial support to several projects. The bridge was designed by Sinclair Hille Architects and Olsson Associates and built by Sampson Construction Co., opening in 2002.